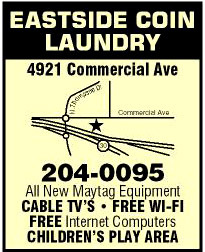 Eastside Coin Laundry, established in 2007, is a self service laundromat that serves Madison, Monona, Sun Prairie and surrounding areas. 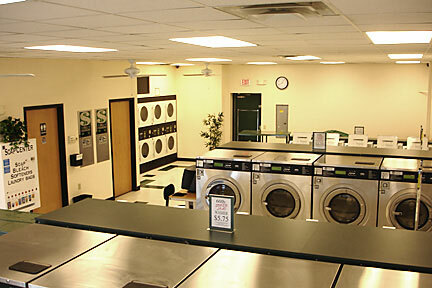 Our laundromat is clean, modern, well lit, safe, and has ample parking. Eastside Coin Laundry is equipped with the finest, most modern, and efficient equipment that will save you time and provide you with a professional wash.
Our giant commercial machines can be used for large loads, bedspreads, comforters, and carpets. The equipment is regularly maintained and serviced by trained staff to protect your clothes and prevent equipment down time. 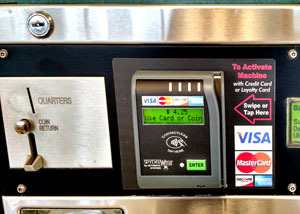 For your convenience we have soap vending machines, change machines and an ATM located in our laundry store. We are located at 4921 Commercial Ave on the east side of Madison, WI. We are directly across from Prentice Park Apartments. Located in the same shopping mall as La Zacatecana and Rosati's Pizza. Nearby you will find many other fine shops and restaurants. There is a Citgo Convenience Center, Milio's Subs, Chang Jiang Chinese Restaurant and Rosati's Pizza. There is also a park with large softball fields near by as well. So, while you are doing your laundry, you can enjoy lunch or dinner nearby. ATM teller is now available! 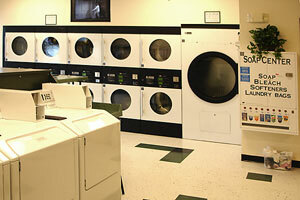 Madison Eastside Coin Laundry has recently expanded its facilities! There now is more space, more washers and more dryers for your convenance. To see our new layout, click here. Madison Eastside Coin Laundry offers many amenities for your enjoyment. See list below. 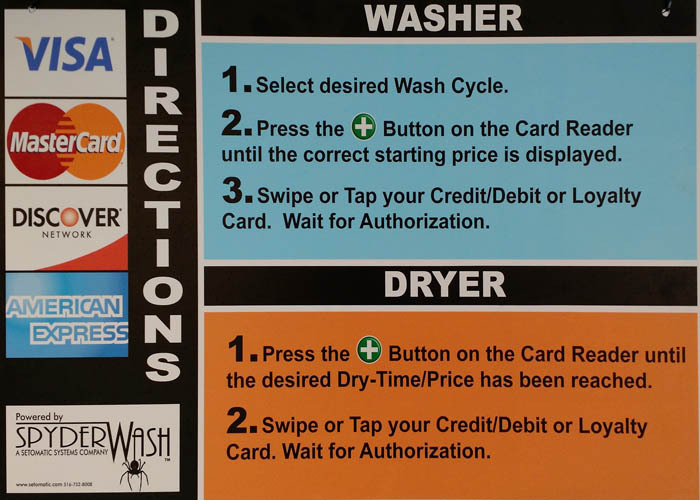 Eastside Coin Laundry has long been a leader in technology and innovation! 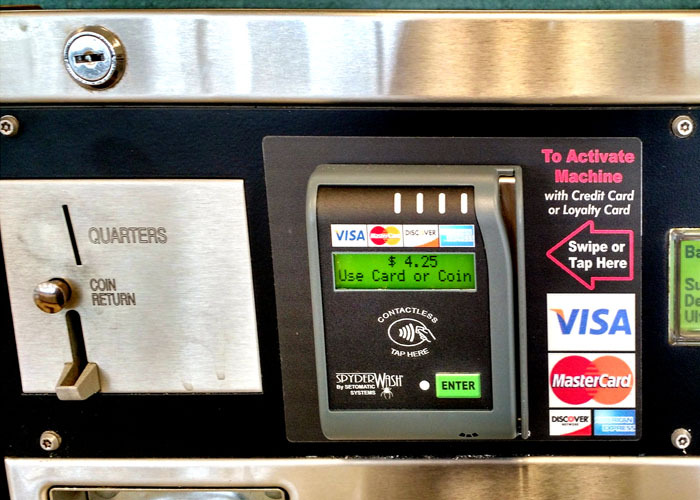 There are several ways to pay for your wash. You can still use quarters, however if you are short on quarters, there is coin changer that takes $1, $5, $10, and $20 dollar bills. There is also an ATM if you are short on $10's! In addition to coins, you can also use your credit or debit card to pay for your wash! 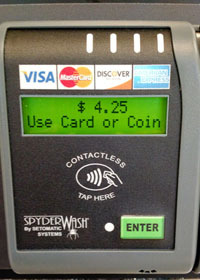 Select machines now have card readers installed! They accept most debit and credit cards as well as NFC payments from Google Wallet. Hours of Operation: 6:00 AM -11:00 PM - Every Day. Open on all Holidays! No part of this web site may be used or reproduced on other sites or in print without the permission of Jim's Photos.